Panasonic reveals 2016 TV line-up led by flagship DX902 | What Hi-Fi? There are six 4K Ultra HD ranges, featuring support for HDR, and two HD TV series. The Panasonic line-up features an improved Firefox OS Smart TV interface, THX certified sound and Ultra HD Premium certification. Panasonic has announced a thorough TV offering for 2016, featuring eight new TV ranges in total, heavily weighted towards 4K Ultra HD resolution sets and bigger screen sizes. 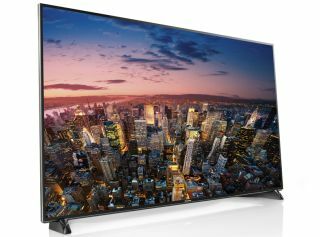 All the new DX range of 4K TVs promise to offer HDR content via Amazon and Netflix (when it goes live), boast Hollywood tuning thanks to the Panasonic Hollywood Laboratory tie-up and sport a new Smart TV interface powered by Firefox OS. There’s a special design model, the DX802, complete with THX certification and a “high-quality speaker system”, while the flagship DX902 sports “a whole new category of LCD” which, Panasonic claims, will deliver the bright colours and deep blacks that HDR demands thanks to a new honeycomb-structure local dimming technology. The flagship DX902 TV (pictured, top), which was launched at CES, leads the way. It’s available in 65in and 58in sizes, and comes with a 4K LED panel with a whole host of Panasonic features, including “3000Hz Backlight Motion Rate”, Studio Master HCX+ colour tuning, Local Dimming Ultra and an Ultra Bright Panel with HDR Premium certification. The DX902, like all the new Panasonic DX TVs, uses a new Smart TV interface using Firefox OS. There’s a new My Home Screen 2.0 content menu, too. HDR content is also supported on the next three 4K TV ranges down, the DX802, DX750 and DX700. Each model offers slightly lower motion processing, as well as a few other feature tweaks. Naturally, Panasonic says the flagship TV is the perfect match for the company’s DMP-UB900 4K Blu-ray player. The DX802 (pictured, above) sports a different, “Freestyle Design”, plus THX 4K certification, pre-calibrated THX viewing modes and a “primsatic speaker” featuring 12 drivers. It’s available in 58in (£1800) and 50in (£1600) models. The next-in-line DX750 (pictured, below) has a “Switch Design”, with an adjustable pedestal, and a twin HD tuner. It’s available in 65in (£2000), 58in (£1500) and 50in (£1300) screen sizes. If you’re after a 40in set, the DX700 is the highest model range to have one (£800). It also has 58in (£1200) and 50in (£1000) screen sizes, all sporting the Switch Design. Both the DX650 and DX600 models come in 55in (£1000), 49in (£800) and 40in (£600) sizes, but differ slightly in terms of specification and design. Last but not least come the HD TVs. The DS500 comes in 49in, 40in, 32in and 24in screen sizes, with a Full HD LED screen, 400Hz, adaptive backlight dimming and a range of smart TV apps. Finally, the DS400 is a “classic design” 40in TV with similar specification and a focus on Smart TV. More details to follow just as soon as we have them.